Updated Lemon Truffle Pie is a super easy recipe that has the best flavor and texture. 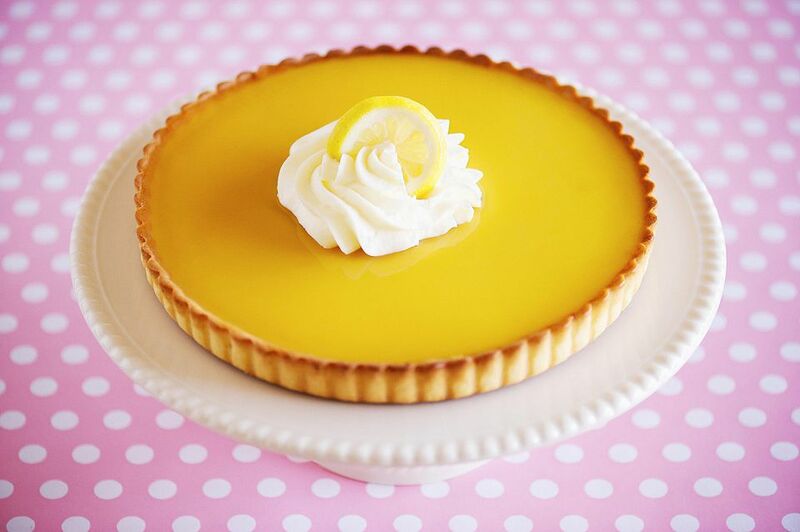 A smooth cream cheese and white chocolate base is topped with smooth and creamy lemon curd. Whipped cream and lemon peel finish the pie to perfection. Be sure to buy the best quality lemon curd you can find for this recipe. Because this dish only uses five ingredients, you have to use the best foods you can buy. This is the perfect dessert for Easter dinner or for a Mother's Day celebration. It's beautiful and so delicious with the combination of tart lemon and sweet white chocolate. But be warned: people will want seconds! If you are serving more than six people, make another pie or two just to be on the safe side. For the filling, in a small microwave-safe bowl, combine 1/2 cup of the lemon curd with the white chocolate chips. Microwave on 30% power for 2 minutes, remove and stir. Continue microwaving for 30-second intervals, stirring after each interval, until the chips are completely melted and the mixture is smooth. Do not overheat or the chips will stiffen and you will have to start over. Then, in a medium bowl, beat the cream cheese until it is fluffy and soft. Gradually beat in the warm white chocolate chip mixture until the filling is fluffy and smooth. Spread this mixture into the bottom of the cooled pie crust. Then carefully spoon and spread the remaining lemon curd over the cream cheese filling. Cover the pie and chill for at least 4 hours until set. When you're ready to eat, beat the heavy whipping cream with the powdered sugar in a medium bowl until soft peaks form. Spoon the cream over the lemon curd and garnish with the slices of lemon zest. Cut the pie into slices to serve.